Nail stickers have been around for a few years new and I thought they were an interesting concept. No one likes to sit and wait for their nails to dry, and then deal with chipped polish the next day. I tried a few cheap ones here and there as I saw them popping up in shops but wasn’t impressed. They were like a sticker that I could simply peel off. Not a long wear option for someone who works a lot with her hands. Needless to say when Incoco shops started opening around Seoul I was highly skeptical. I recently was near their Coex location so I thought I’d pop in and find out more. They offered a free trial so I could see how to apply them and give the colors a test run. 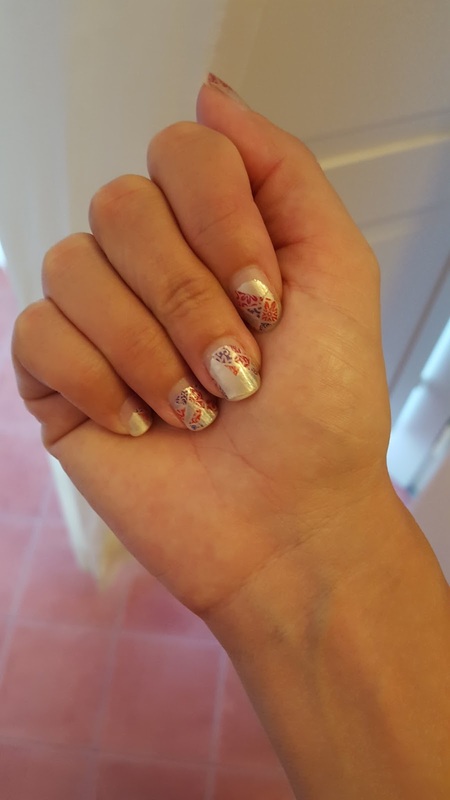 I was wrong for judging all nail stickers alike. 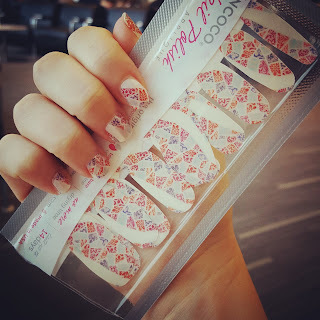 These are not your average nail stickers. In fact, they aren’t even stickers. They are boasted as actual nail polish, taking polish out of the bottle and packaging it in a convenient strip. Each strip is made of a base, color and top coat. They last up to 14 days (more on this later!) and can be removed easily with nail polish remover. The polish these are made from are 3-free formulas (no DBP, toluene, or formaldehyde) so you don’t need to worry about harsh chemicals typically found in nail polish. 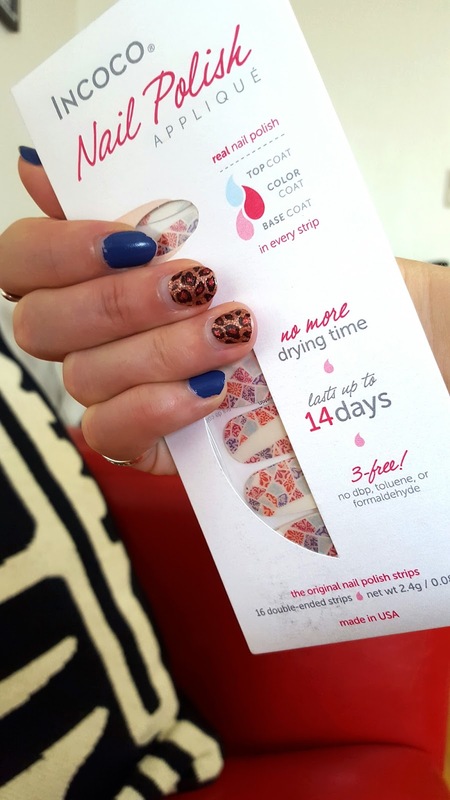 Each package comes with 16 double ended strips so you can find the perfect fit for each nail. There is a learning curve with application, but after a try or two you can get the hang of it easily. The website is full of colors and patterns. Too many to choose from. 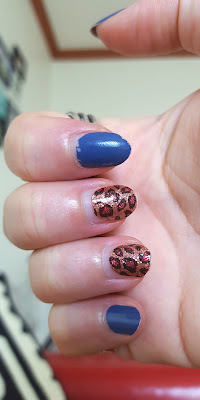 Below is the sample that I had applied after 2 weeks (the glitter leopard print). You can see growth (as you typically would with a gel manicure) and minimal wear on the tips. I could have easily filed down the tip and they would look chip-free. There was no peeling, no major chips even after all this wear. I’m impressed. -press them on and rub them well. They will set harder over the next 24 hours so though they are dry, I don’t suggest doing a lot of rough work with them right away. They are available for purchase online here or at many location in Korea and internationally. Certain Olive Young locations carry them. If you can read Korean, here is the full list of locations. The Coex location offers salon services so they will apply the polish you purchase for an extra 5,000 won. This is great if you want a firsthand look at how they work.